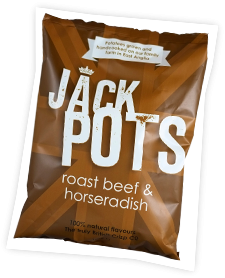 "Born from a desire to put a proper British crisp on the supermarket shelves, we launched Jackpots Crisps, a truly British crisp company that stands out from the crowd. 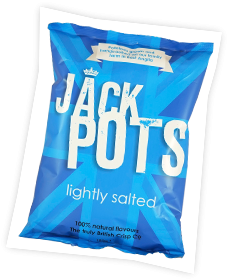 "With three generations of experience growing the finest British potatoes and a passion for perfecting the perfect crisp, we know that each bag of our thoroughly British snacks guarantees the best flavour and crunch possible. 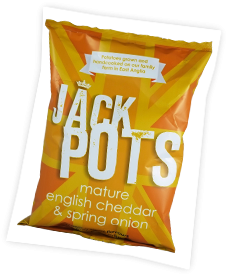 "Made on the farm in East Anglia, each packet of Jackpots uses lovingly-grown and hand-selected potatoes, which are then washed, cut, cooked in small batches using sunflower oil and packed in our own, purpose-built crisp factory only metres from the fields. 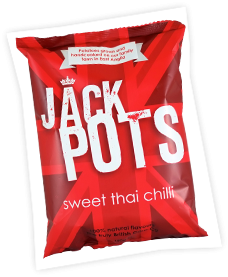 "With a range of delicious and modern British flavours, the crisps inside certainly live up to the eye-catching, Union Jack packaging on the outside. 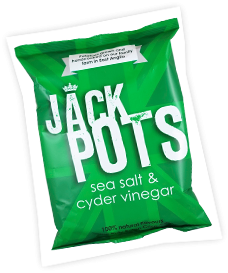 You can be sure that a bag of Jackpots Crisps has been carefully cared for from plot to pack. We promise you won't be disappointed!" 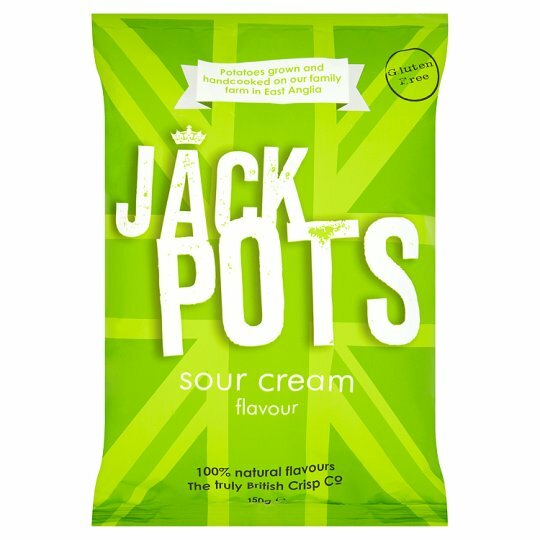 ​As Jackpots Crisps are made and packaged by Farmfields Crisps, we can only presume they are a budget or secondary brand made for supermarkets. We will ask them why they do not sell their main brand to supermarkets and will get back to you.